The Quidel Specimen Stabilizing Solution (A9576), when used according to the procedure described in this data sheet, will retard the generation of complement activation fragments and complexes in human serum, plasma and other specimens during processing and storage. This product extends the stability of the specimen, significantly reducing the likelihood of in vitro -generated elevation of complement fragments in clinical specimens. This product should be used for stabilizing all serum and plasma samples which cannot be stored at –70°C or below within four hours of phlebotomy. 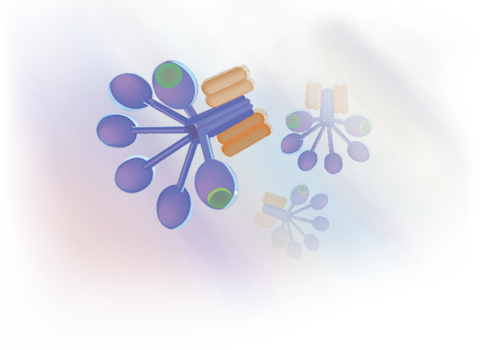 The Quidel specimen stabilizing solution can be used with all assays designed to determine the concentration of complement fragments and complexes in human serum and plasma, specifically the MicroVue iC3b EIA Kit, C3a EIA Kit, Bb EIA Kit C4d EIA Kit, and SC5b-9 EIA Kit. The stabilized specimens may be stored for up to six days at 4°C prior to testing or at –70°C or below for a year or more without deterioration of the specimen quality, i.e., without spontaneous complement fragment production. For users without access to a –70°C or ultracold freezer, stabilized specimens may be stored at –20°C for up to one month without deterioration. Note: Storage of un-stabilized specimens at –20°C or warmer will result in significant artifactual elevation of complement fragments and complexes.